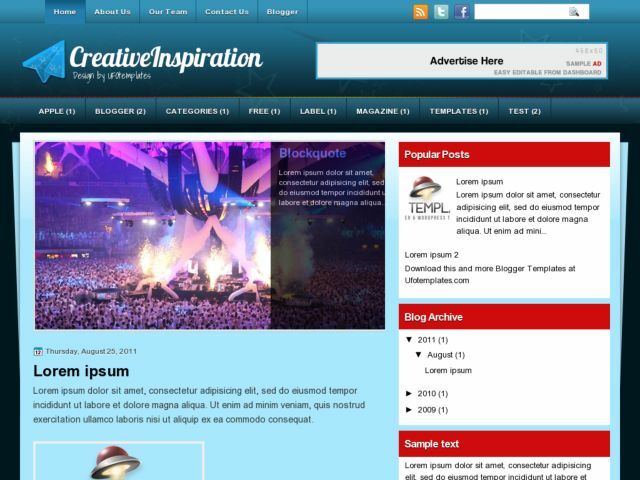 CreativeInspiration Blogger Template is a free blogger template with 2 columns and sidebar on the right. Template type : cool and clean, blue, nice pattern, simple slider menu, 1 columns sidebar on the right side and more. Excellent layout for blogs about entertainment.